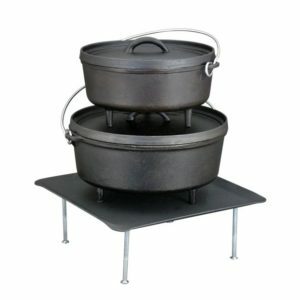 Recommended by world champion Dutch oven chefs, Camp Chef’s conditioner is the best way to ‘season’ your cast iron Dutch ovens, grill grates, griddles, skillets or other cast iron products. Made of all natural oils, this conditioner creates a natural, easy release surface and should not be viewed as a chemical non-stick coating. 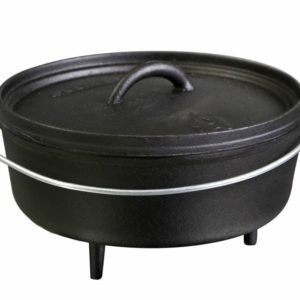 Seasoning your cast iron will allow it to last for generations. 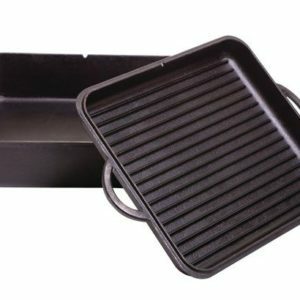 *Cast iron conditioner is temperature sensitive. In cooler temperatures conditioner may thicken. To soften conditioner, simply massage the conditioner tube or set tube in warm water to soften. In warmer temperatures conditioner may thin out. If this happens open the conditioner with the lid pointed down, as the conditioner may run out rapidly. If the bottle ever develops a clog use a small nail or something similar to dislodge it. 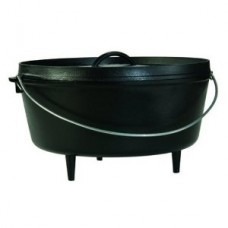 Lodge 12 Inch Cast Iron Camp Dutch Oven 6 qt. 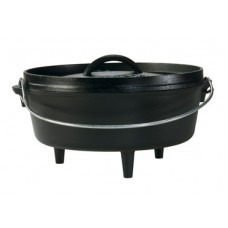 Camp Chef Classic 10 inch Dutch Oven 4 qt. 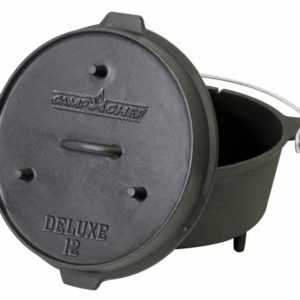 Camp Chef Deluxe 12 inch Dutch Oven 7 qt. 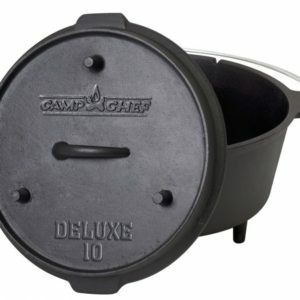 Camp Chef Deluxe 10 inch Dutch Oven 5 qt.